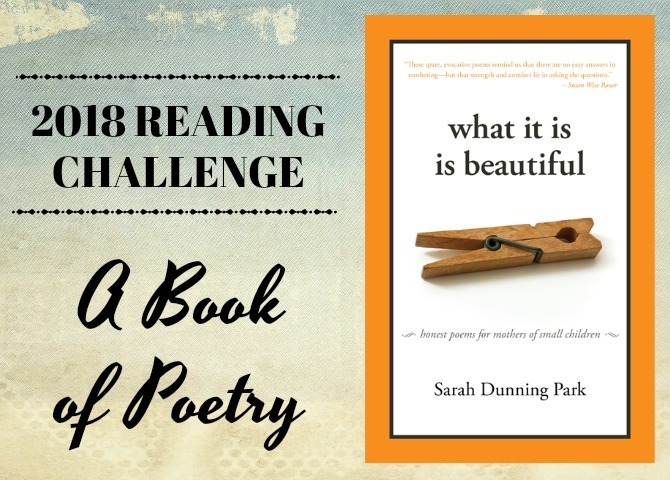 2018 Reading Challenge: A book of poetry. April is National Poetry Month. The annual celebration has taken place every April since 1996, but I’ve never participated in or even acknowledged the event myself. 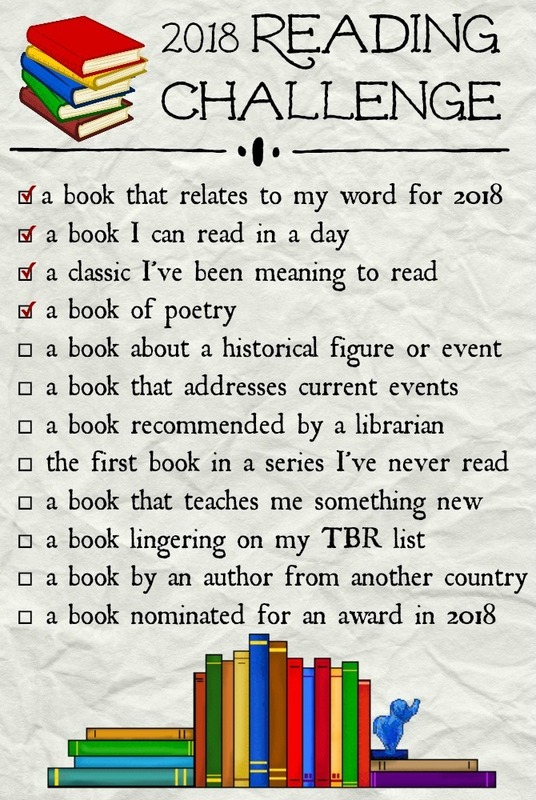 Until this year, when this month’s Reading Challenge category is helping me break all barriers to become a poetry reader. Like all high school students, I dedicated quite a few of my Language Arts studying hours to reading and analyzing poems, and for the most part, it was a positive experience. I didn’t love every poem but appreciated nearly all of them, and almost always gleaned some lesson from the reading experience. So why don’t I continue to read poetry today? Mostly because—ready for a readerly confession?—poetry sort of terrifies me. I want to be someone who regularly reads and even enjoys poetry. And in many ways, I’m an excellent candidate for a poetry enthusiast: I adore the written word, and love nothing more than coming across passages that take my breath away. . . I gravitate towards writings that are outside the box, that prompt contemplation and that stimulate new ideas. . . I have no problem making time for readings that make me work a little to understand or apply them. . . the book of Psalms (one of the most famous poetry compilations) is one of my favorite books of the Bible. . . I do most of my reading in small snippets of time. These are all attributes I assume would describe someone who regularly reads poetry. I think my hangup is just that I simply don’t know where to find good poetry. True, I love reading through song lyrics and well-crafted Tweets (the modern iterations of poetry? ), but seeking out a book of poems is a daunting task. My library’s poetry section is shockingly sparse; none of my favorite book reviewers have had much to say about the genre; and even Amazon and Goodreads had few ideas for me. I would have given up the hunt if it weren’t for my Reading Challenge, prompting me forward. And my search eventually led me to Sarah’s Dunning Park’s What It Is Is Beautiful. Sarah Dunning Park is a mom to three young daughters, and in this collection of nineteen poems, she captures #momlife in all of its glory: from the turmoils of sibling squabbles and insurmountable loads of laundry, to the joys of raucous laughter and tenderly bestowed gifts. The poems’ witty titles are nearly as great as the poems themselves, and each one explores a different facet of this journey we call motherhood. This is a slim volume that can easily be read in under twenty minutes. The poems are short and deceptively simple, and I admit to being a little disappointed when my copy of the book arrived in the mail, and I saw how few words it contained. However, when I began reading I saw that the collection more than makes up in quality what it lacks in breadth. Park’s style is not flowery or effusive, but her spare style manages to illustrate the myriad of emotions and challenges we moms face. And the format really is ideal for her audience of busy moms. Motherhood is far from a unique undertaking—it’s one that a vast majority of women eventually tackle. 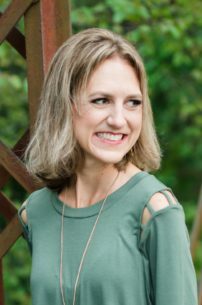 At the same time, becoming a mom can feel like such a foreign experience; it’s hard to imagine that any other person has ever shared this turbulent cocktail emotions or experienced the same roller coaster of highs and lows that can take place in my home during a single afternoon. The journey is indescribable, ineffable, sometimes incomprehensible. . . and I think that’s why I love reading books on motherhood; I’m reminded that, despite what my heart tries to tell me, I am NOT the first woman to walk this road. It doesn’t surprise me that I chose a book about parenting for my foray into poetry: its one topic I just can’t quit. I enjoy witnessing others as they trod the same path, with all its twists and turns. And I find it relieving to have someone else articulate aspects of parenting that I never could have. 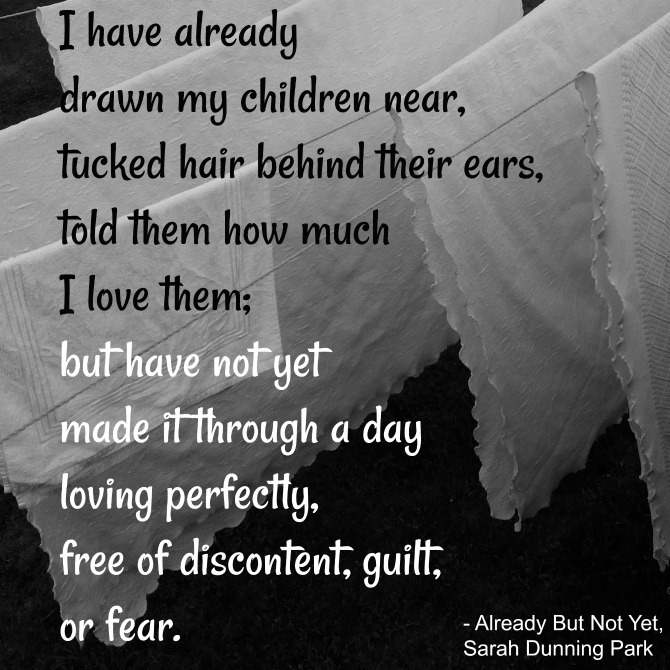 Sarah Dunning Park does this wonderfully in her poems, reminding every one of us exhausted moms that what it is, is indeed beautiful. Are you a fan of poetry? 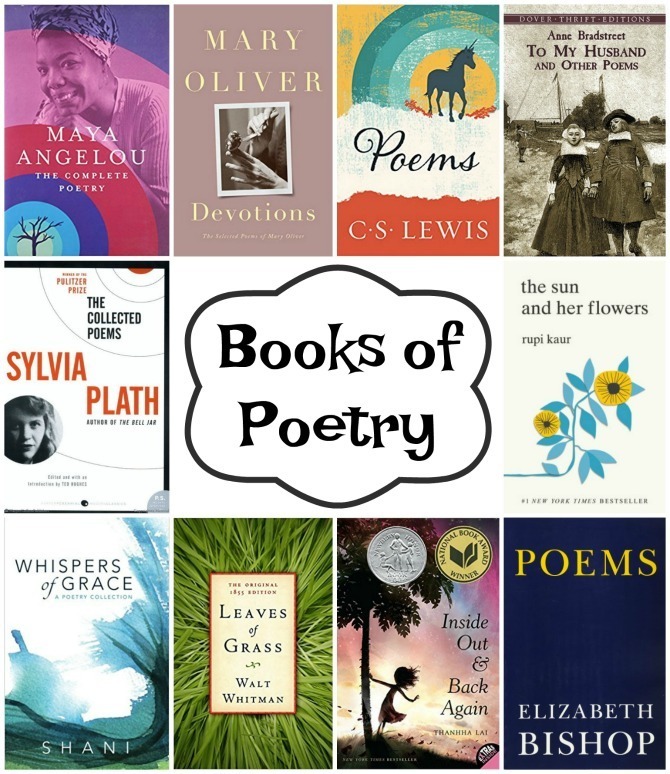 If so, what poets would you recommend I check out next? Now that I’ve done a little poetry reading, I’m excited to do some more!